We caught up with Darren just before he won the non-championship Westland Rally to find out about his thoughts on the changes to the class, new co-drivers and his plans for the 2015 season. NZRC: Welcome back to the Gull Rally Challenge for 2015, what made you decide you wanted to come back and defend your title? DG: That’s a good question! I just spent some money on the car which made it a bit more competitive so I guess hopefully we can go a bit quicker this year and scare a few of the top NZRC guys, perhaps not the real top guys but try squeeze into the top five. Then again, looking at the field this year, we might be struggling anyway! NZRC: Is the main goal then still the Gull Rally Challenge, or is it to give some of the front runners a shake-up? DG: We’re targeting the same four rallies as last year, so still the aim is definitely to defend the Rally Challenge title. But in the process hopefully we’ll move up the order in the overall rankings a bit. With recce, we should have a bit more car speed, we’re going to run better tyres this year, we’re running Dunlops, which should be a bit better. NZRC: Obviously this year the class has grown, last year you didn’t have as much competition, particularly in the North Island rounds, does the increased competition affect the way you prepare for an event? DG: It certainly did when we went to Whitianga last year because we only had to finish to get the title, so it affected the way we approached the event there because I couldn’t afford to go off the road, it wasn’t a real enjoyable rally for that reason so this year we’ll go back and hopefully have a better run. NZRC: You talk about needing to finish and aside from one mechanical failure that put you off the road last year, you were incredibly consistent. Back in the day you used to be a bit of the wild-child of South Island rallying and you had some big accidents. Is that a change in approach or is it just being older and more mature? DG: That’s a bit harsh!! Definitely getting older and more mature, although the first rally last year (non-championship Westland rally), we put it off the road while leading. I turned to Jim when it happened and said I thought we’d grown out of that, but clearly not. But last season, I was driving better than I ever have, not taking as many risks and things like that just to get to the end. NZRC: This season you bring on board Rocky Hudson who has a very strong reputation as a co-driver in the NZ Rallying scene, what do you think he’ll add to the team? 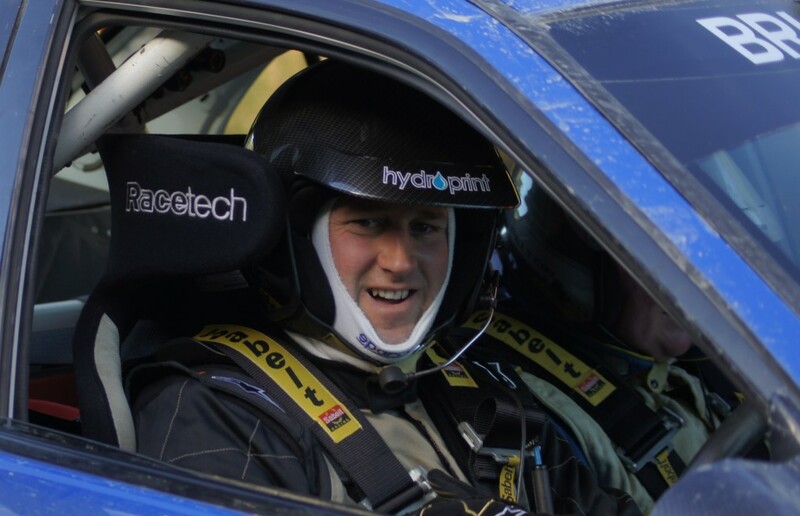 DG: I’ve never done recce before, only co-driving for Regan (Ross, the pair won the NZRC Historic championship in 2010). We talked about notes and he’s (Rocky) of a similar opinion of the way that they should be done so we should work well together. Obviously he’s done a lot and is experienced and I’ve watched a few videos with him co-driving and he’s quite calm in the car, reads the notes quite clearly and calmly so we should work well together. NZRC: Coming north again this year and not competing on events for the first time, will that change the way you approach the events and what you expect to get out of them as well? DG: Definitely. If Wairarapa is the same sort of event, obviously we only got a bit over half way through it, but I like the roads at Wairarapa, they tend to be a bit narrower than down here but they are very good roads, I really enjoyed the stages before we went off there and our pace was reasonably good there against the North Island guys which surprised me, they’d all done recce and things like that. I think they suit my style. NZRC: What sort of a step up in speed do you think you can give yourself with the ability to do recce now? DG: Well it will be a combination of a few things because I’ve just put new suspension in the car, I’ve done will Hillclimb to test that and it’s already a heap better. I’ve got big brakes coming for the car which will be here before Otago. Those along with recce and new tyres, new co-driver, I hope to be at least a second a kilometre faster than where we were last year which I don’t think is too big of an ask really. To be completely honest I think there is close to a second per k faster just in the shocks without over driving the thing. NZRC: As a day job you uphold the law as a police officer, does the cross over change the way you approach either work or rallying? DG: Obviously I’ve been doing it for a while and there are some things now that I certainly don’t do that I may have done in the past, going out testing on some back country roads and things like that. Definitely this is the right place to do it, you have to do it properly.